The President of the Islamic Republic of Iran, Hassan Rouhani will pay a state visit to India at the invitation of the Prime Minister Narendra Modi from February 15 to 17, the ministry of external affairs said on Wednesday. President Rouhani will be accorded a ceremonial reception on February 17. He will call on President Ram Nath Kovind and Prime Minister Modi. During the visit with President Rouhani, both sides would review the progress achieved in bilateral relations and also exchange views on regional and international issues of mutual interest. It may be recalled that Prime Minister Modi had visited Iran in May 2016. 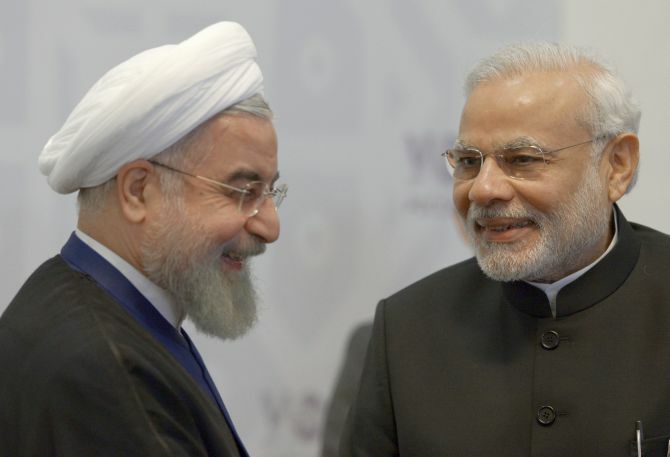 Besides his official engagements in Delhi, President Rouhani will also visit Hyderabad. Pak terror havens : Iran's had enough!